1Pour whiskey over ice in highball glass. 3Top with Sparkling water and stir. 4Garnish with a sprig of lime. The whiskey ginger is a casual, easy going, drink. If you don’t feel like having a more formal cocktail, glass of wine, or beer, then this is the drink to order. First, because it won't be too sweet: you control the level of sweetness. 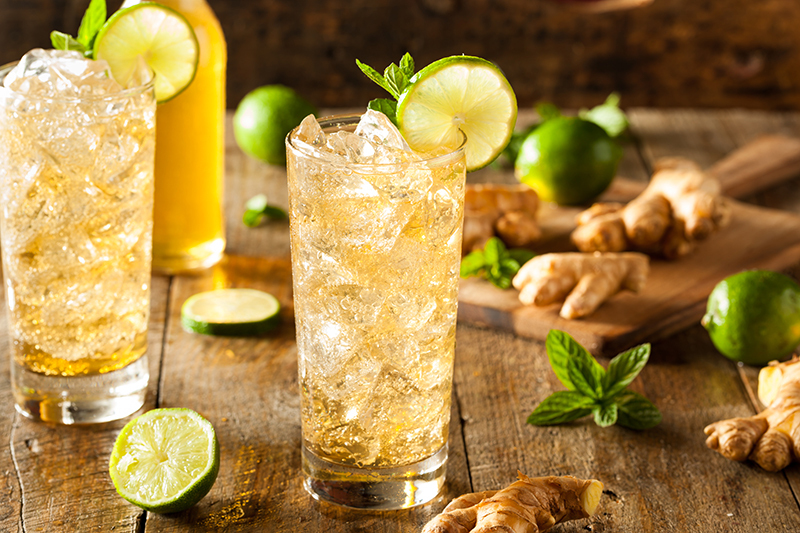 Rather than using pre-packaged ginger beer, we suggest blending a combination of our Ginger KISS (to taste - very important) and sparkling water. Second, the alcohol isn’t “in your face” bold; the flavors complement each other, while a subtle carbonation seems to lighten it up.